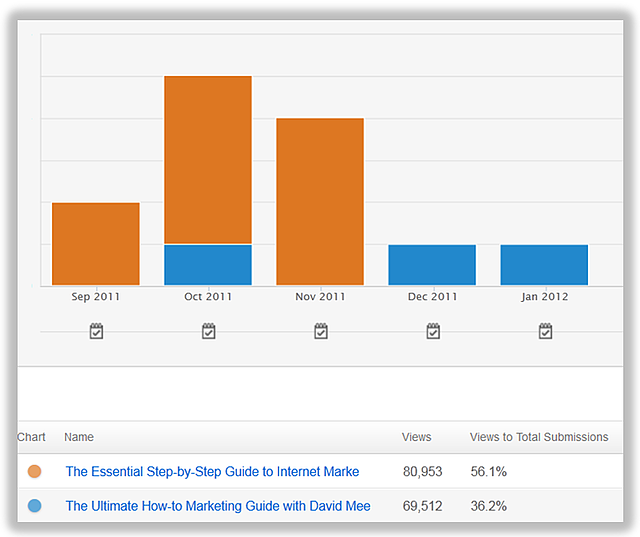 Closed-loop reporting is one of the most powerful tools that we online marketers have at our disposal. Not only does it allow us to demonstrate our work’s value to our bosses, organizations and clients, but it also enables us to improve our marketing. In this blog post, which is an excerpt from our Introduction to Closed-Loop Marketing ebook, we will review several different ways in which closed-loop reporting helps you attract more high-quality leads and become a smarter marketer. 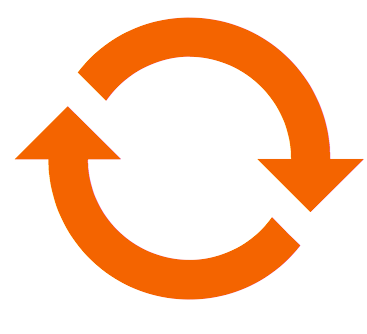 First, let's clarify what closed-loop marketing is. Closed-loop marketing is marketing that relies on data and insights from closed-loop reporting. “Closing the loop” just means that sales teams report to Marketing about what happened to the leads that they received, which helps Marketing understand their best and worst lead sources. 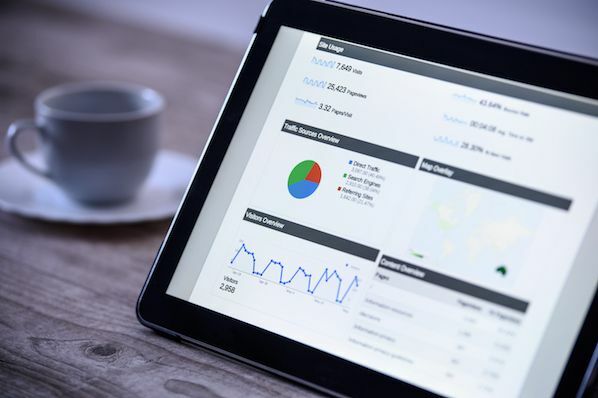 Typically, this involves connecting your marketing analytics software with your customer relationship management (CRM) software. With closed-loop reporting, marketers are then able to plan more strategically for the future by focusing on their best lead sources -- those with the best conversion rate to customer. 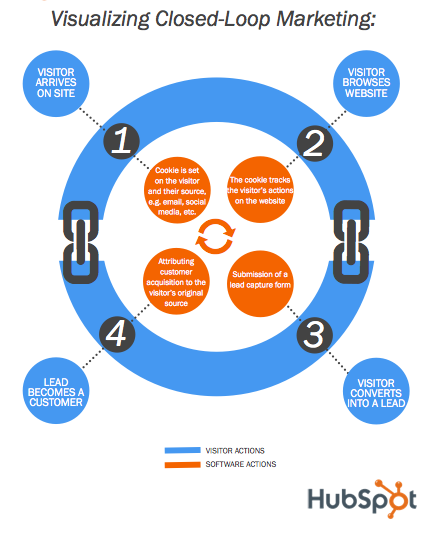 To help you understand how closed-loop marketing works, refer to the visualization below, or download our closed-loop marketing ebook for a more detailed explanation of each step in the process. Closed-loop marketing directs your attention to the most powerful conversion events and channels. By looking at the sources and offers that traditionally brought in new customers for your organization, you will be able to identify the behavior you need to engage in to qualify leads and push them through the sales funnel. For instance, by looking at a tool such as HubSpot’s Sources , which uses closed-loop reporting, we are able to compare the efficiency of different channels in respect to customer acquisition. 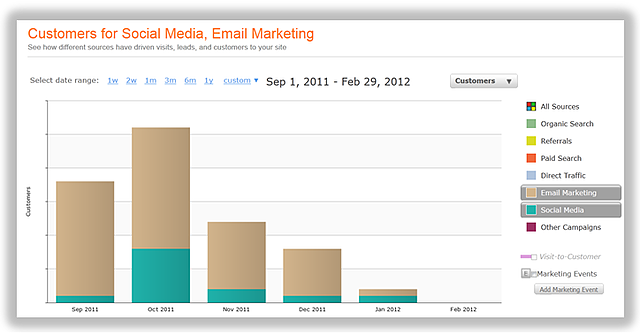 In the screenshot below, we are comparing the number of sales from social media marketing to the number of sales from email marketing. It becomes clear that email marketing has a higher lead-to-customer rate than social media. This insight can then help us take action: nurture the social media leads with targeted email messages. The same type of intelligence will direct you to the content you can use to build your lead nurturing communication. With closed-loop data, you can compare the effectiveness of different marketing offers in respect to customer acquisition. In the screenshot below, we have used HubSpot’s Landing Page Dashboard to compare the performance of two ebooks in their ability to generate new customers. This information helps us decide which of these ebooks to use as a call-to-action when we are trying to push a lead through the sales funnel. 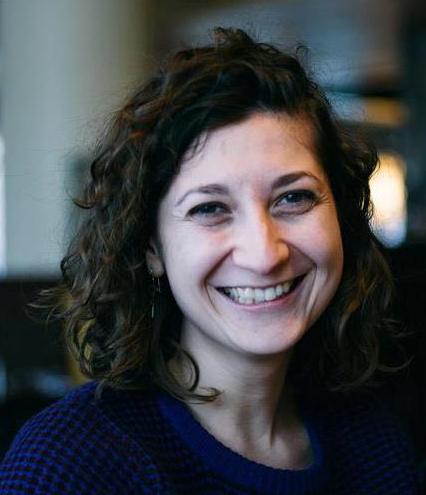 The data you can gather thanks to closed-loop marketing will also help you build your authority and support the decisions you make in front of your boss. It shows that your strategy is driven by evidence and doesn’t rely on abstract theories or assumptions. It also enables you to build powerful marketing presentations for company-wide meetings or when jumping into co-marketing partnerships. For example, consider how much more impactful it would be to tell your boss that since you started blogging, you drove 45% more traffic to your website, and of that traffic, you generated 15 new leads and 3 new customers. What better way to both validate your inbound marketing efforts and show your worth? By gaining a 360-degree view of your sales cycle -- looking at a user’s first visit to your website, browsing through their activities and identifying their last conversion event -- you collect insights about the ideal prospect. So using this information can help you build a target persona! As we have already discussed on this blog , personas are fictional representations of your ideal customers based on real data about customer demographics and online behavior, along with educated speculation about their personal histories, motivations, and concerns. Analyzing the path that prospects take on the journey to becoming a customer is a great way to get insights about the needs and challenges of your target audience. Such lead intelligence will help you make better decisions when identifying the characteristics of your ideal customers and ways to nurture your new prospects . Take a look at the content your prospects download, for example, to zero in on their pain points. Compare that with their form data to see if certain subject matters appeal more to leads from a certain business size, from a certain geographic location, or of a certain demographic. This is how you'll begin to get progressively more specific -- and more accurate -- with the personas you've created. And that just means even better lead nurturing results! By learning more about your leads and targeting them with smarter communication, you decrease the amount of time it takes them to convert into customers. If a prospect with specific characteristics (e.g. a B2B company with 100 employees located in Northern America) follows a certain trajectory of actions to turn into a customer, then you can take that path and apply it to a larger segment of that demographic profile. 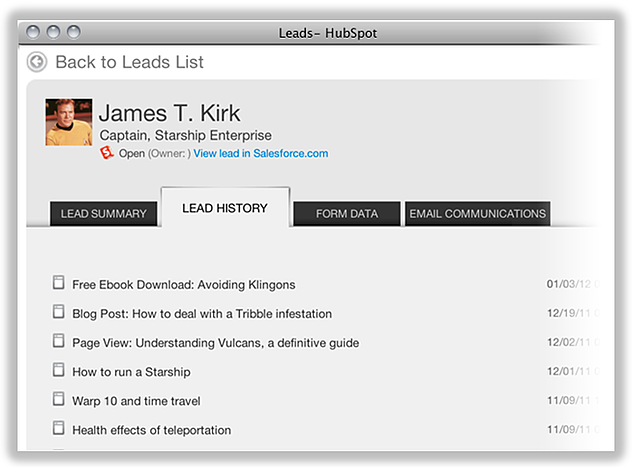 As an example, let’s explore the lead intelligence of a company that became a HubSpot customer. We see that, initially, the prospect became interested in our ebook, 101 Awesome Marketing Quotes. A few days after they downloaded that ebook and converted into a lead, they visited HubSpot’s product pricing page . 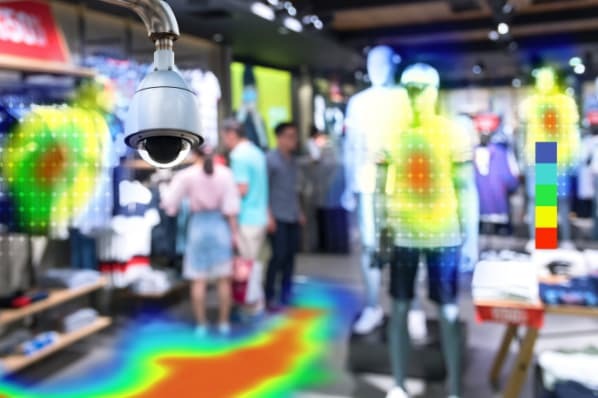 That behavior, combined with the customer’s demographic data, could dictate our behavior-based communications with similar type of companies. In other words, based on this insight, we might want to encourage new leads of this type to visit our pricing page to get some information about HubSpot’s software. You can learn more about specific ways to accelerate your sales cycle with lead nurturing in this post . By knowing precisely what your visitor-to-lead and lead-to-customer conversion rates have been historically, you can set the right goals and expectations for your marketing team and sales organization each month. To ensure that you are moving in the right direction, you should also compare your current performance to last month’s and create a daily or a monthly leads waterfall . 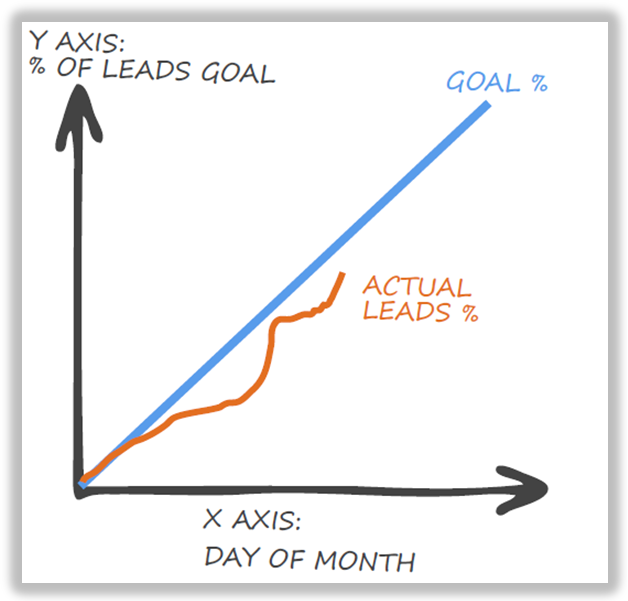 Wondering how to build a daily leads waterfall graph? Check out this blog post . Authored by Mike Volpe, HubSpot's CMO, the post will walk you through the steps of setting up your own waterfall chart. As we already mentioned, closed-loop analytics gives you insights about your most powerful inbound marketing offers and enables you to set realistic goals for both Marketing and Sales. These two factors are key to helping you determine which channels to spend your inbound marketing budget on. For instance, if you were looking to host a trade show , you could easily decide which type of offer you're going to promote at the event. You have already identified what content helps you convert more leads into customers; now you just have to think of a creative way to present it to your audience. Similarly, you could do paid advertising efficiently. Just take the ideal lead demographic information that you discovered thanks to connecting your marketing software to your CRM, combine that with your best performing offers, and you will be sure to attract some new sales without wasting marketing budget on content and channels that don't yield an efficient return on investment. How do you use closed-loop data to improve your marketing? Share your suggestions in the comments!